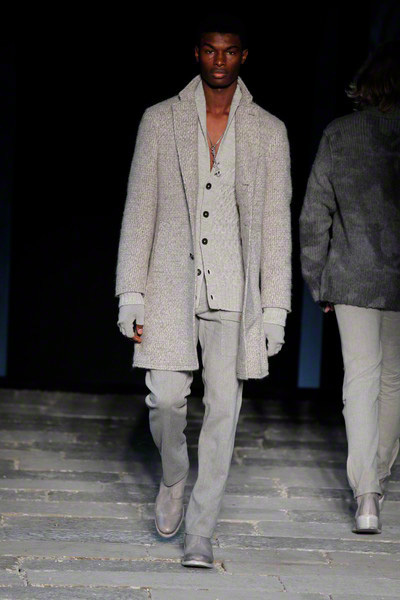 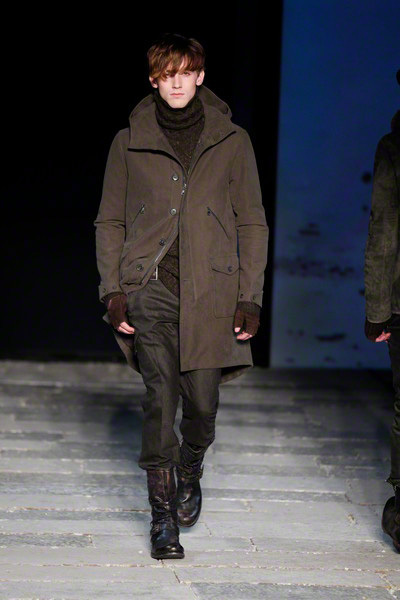 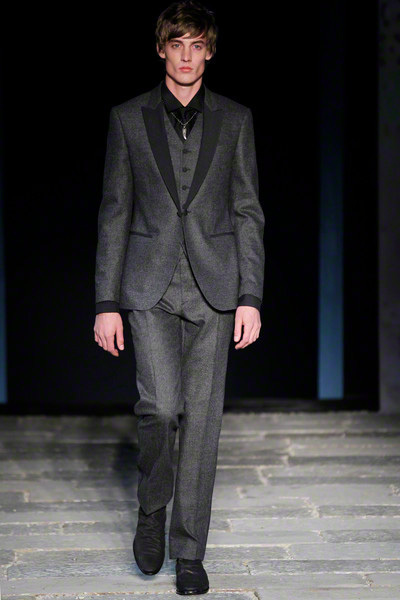 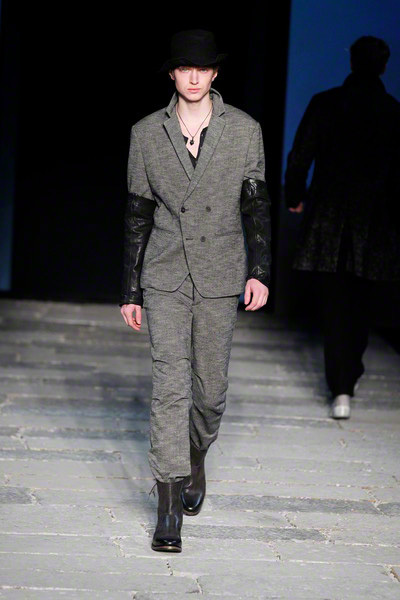 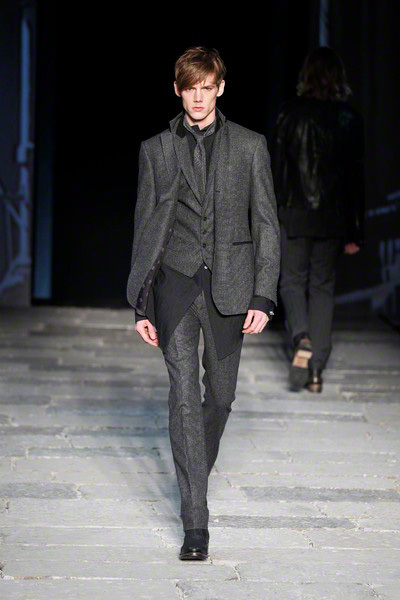 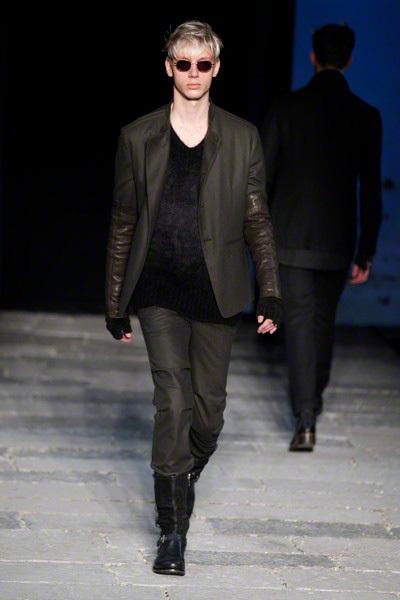 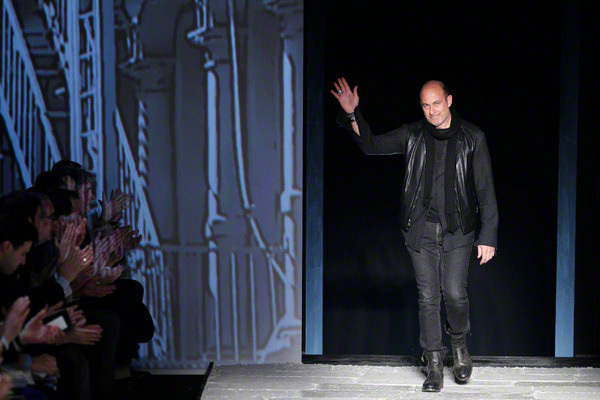 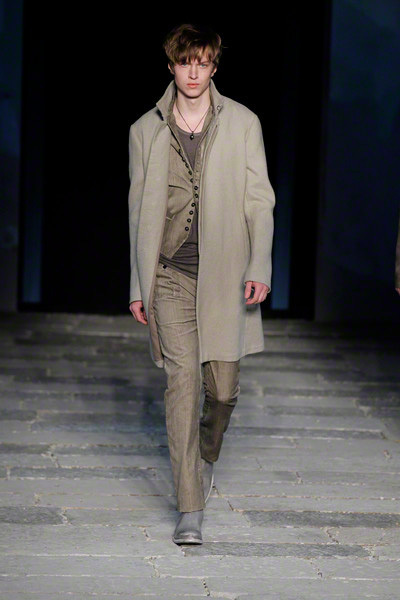 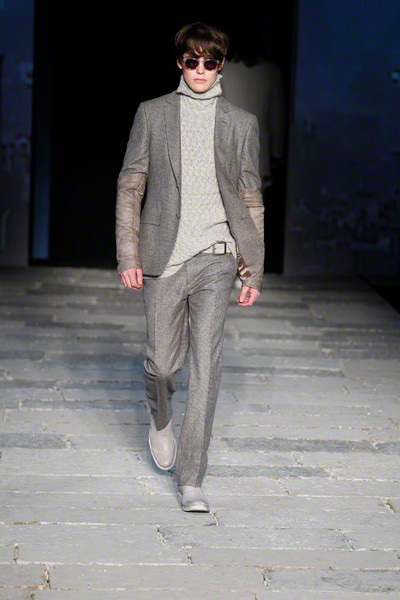 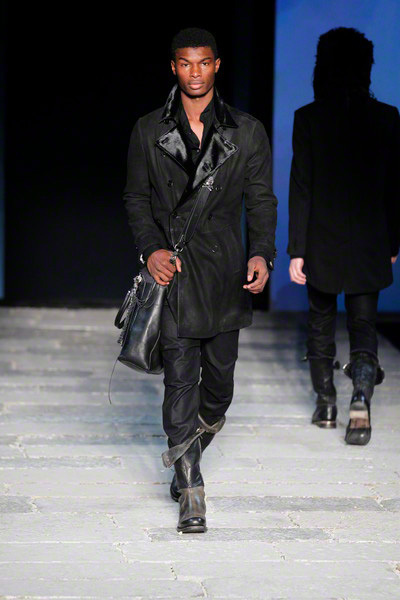 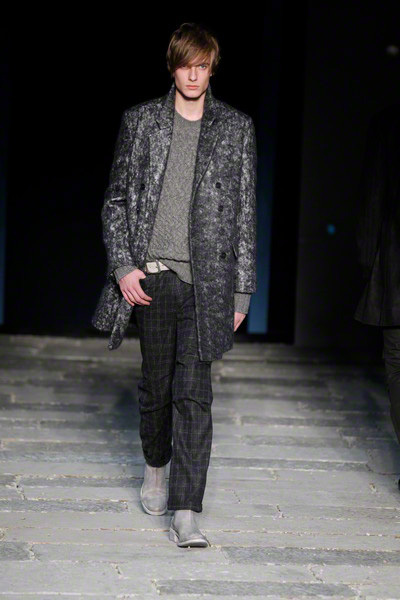 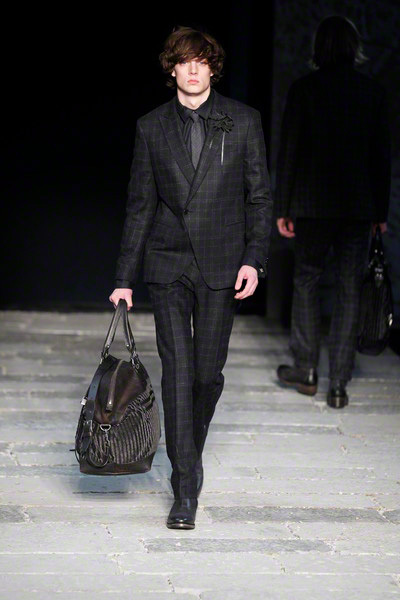 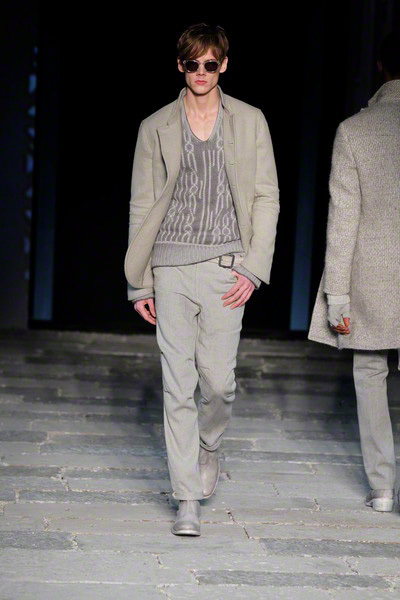 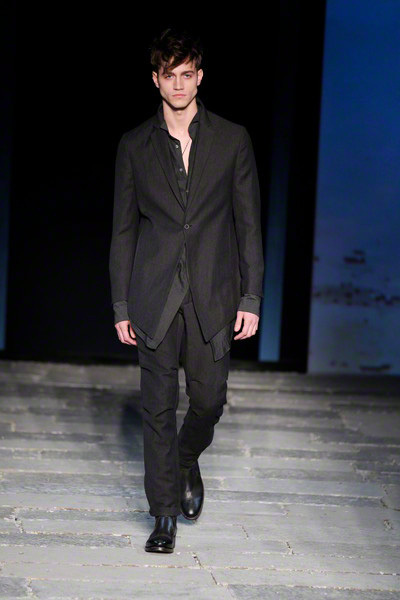 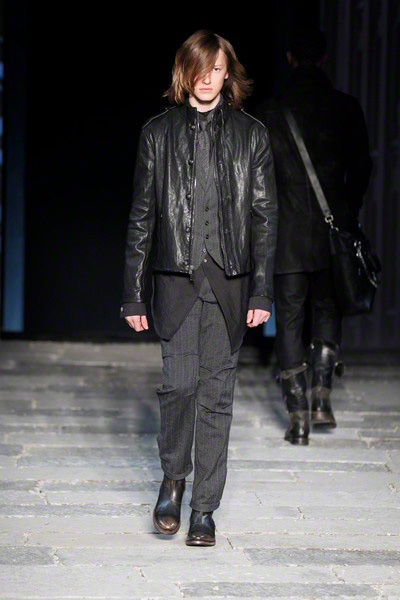 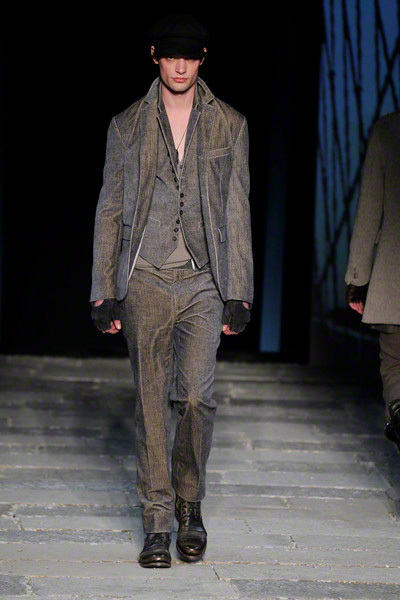 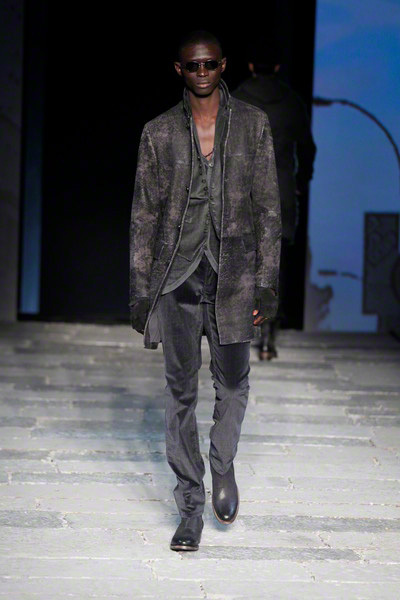 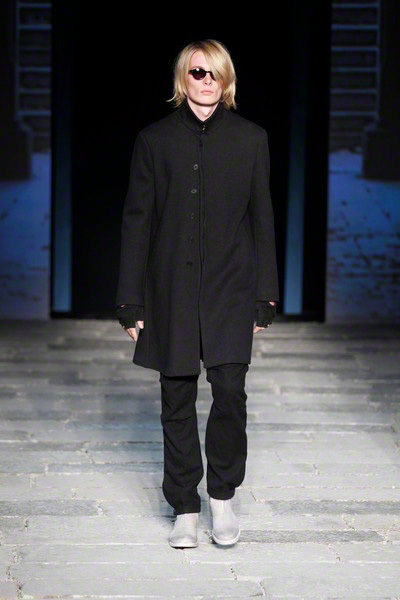 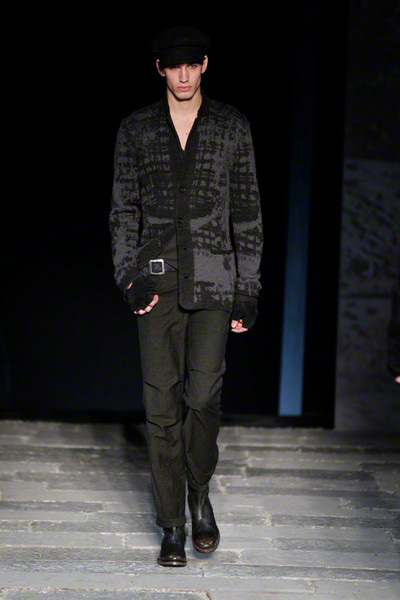 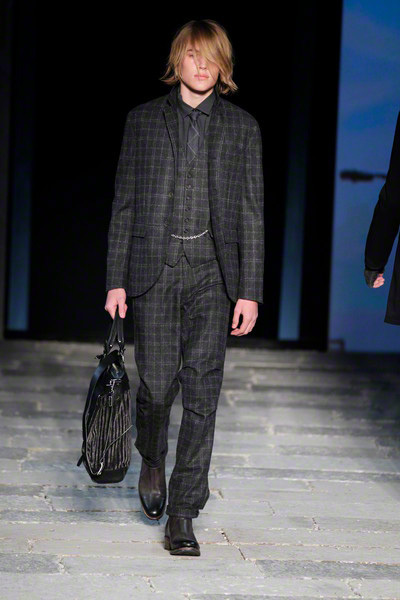 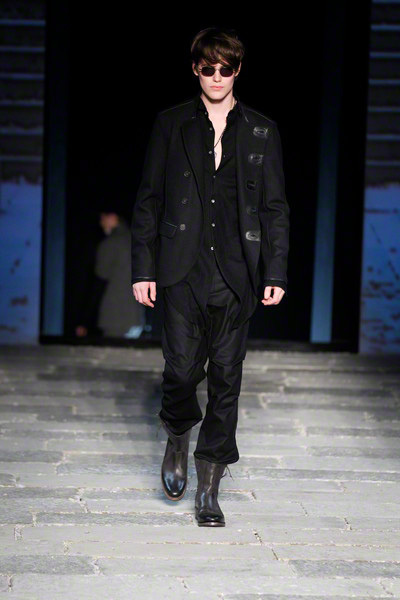 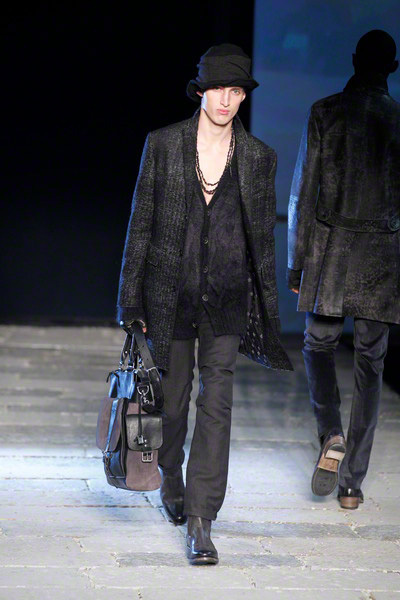 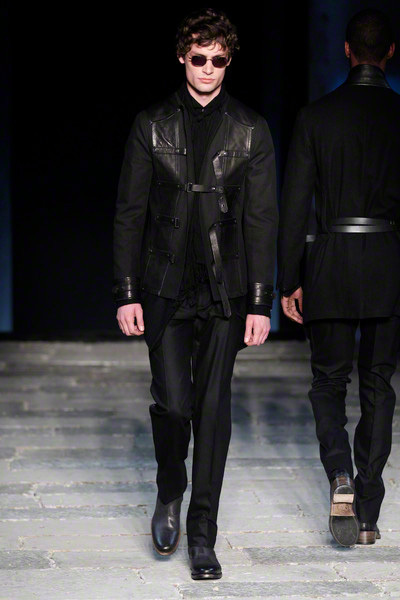 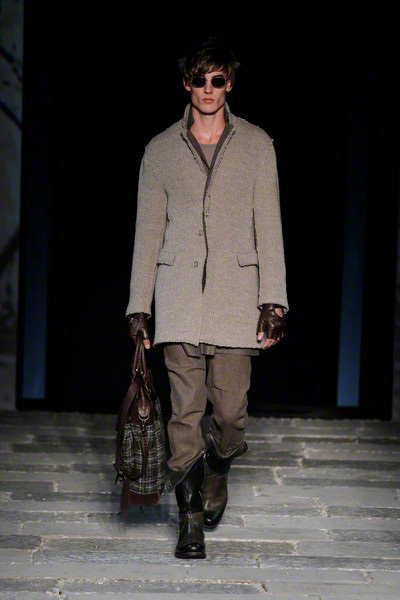 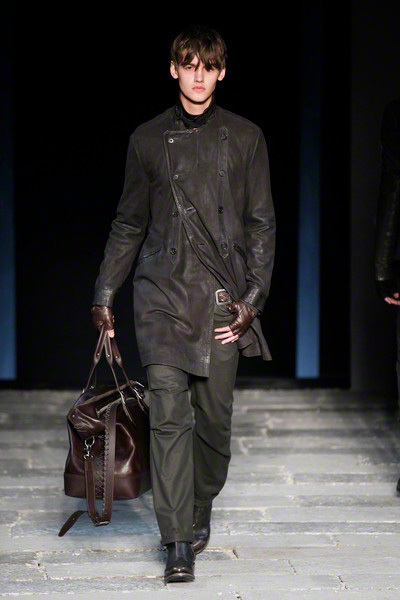 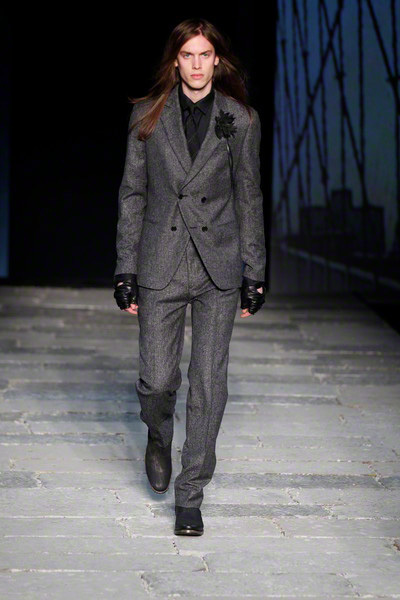 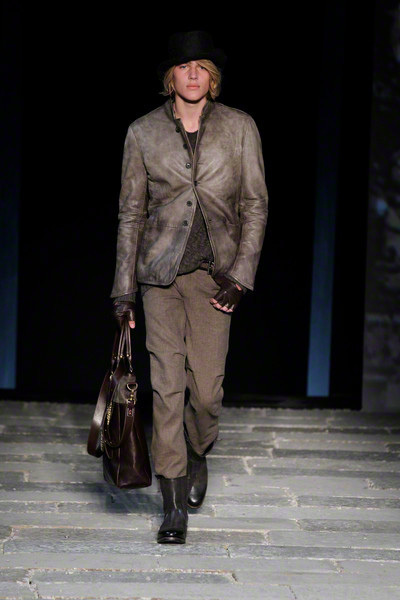 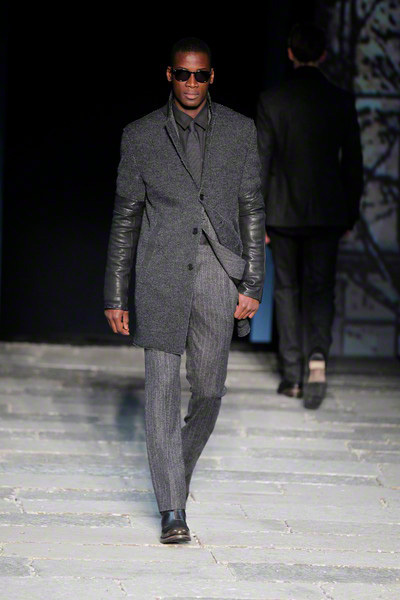 Varvatos’ show was an ode to the city of New York. 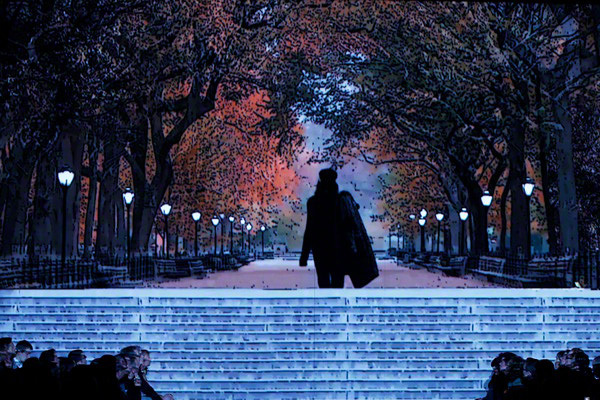 In a film, played as a background to the show, all NYC landmarks popped up, from the Chrysler Building tot the Statue of Liberty. 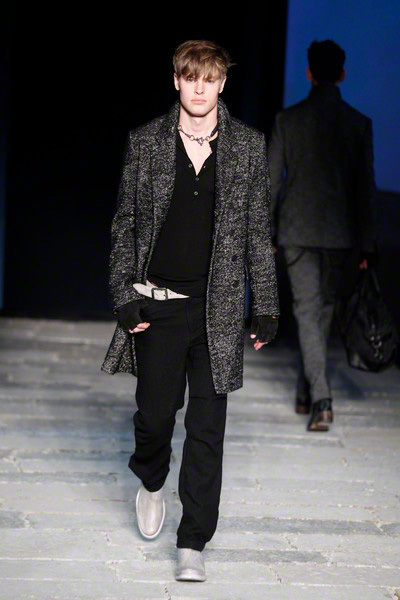 The runway looked like a regular NYC street and felt raw and real at the same time (just like the clothes). 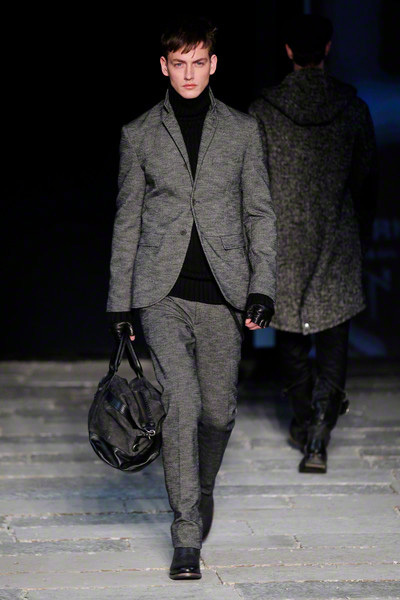 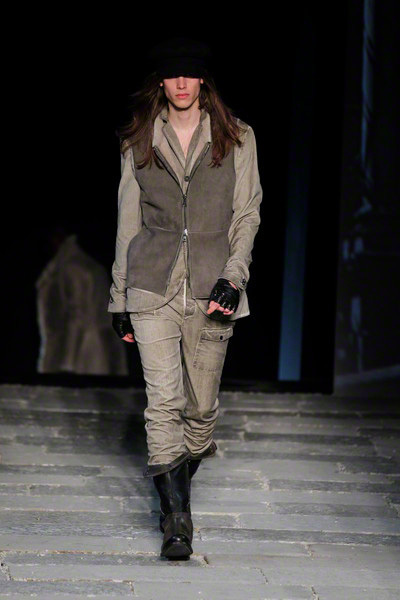 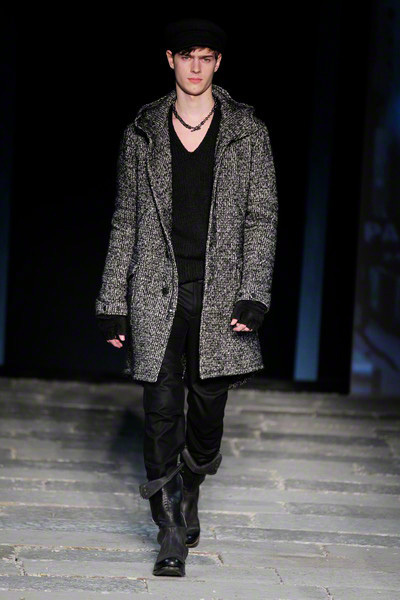 The models looked streetwise in clothes which had just the right amount of fashionable detailing. 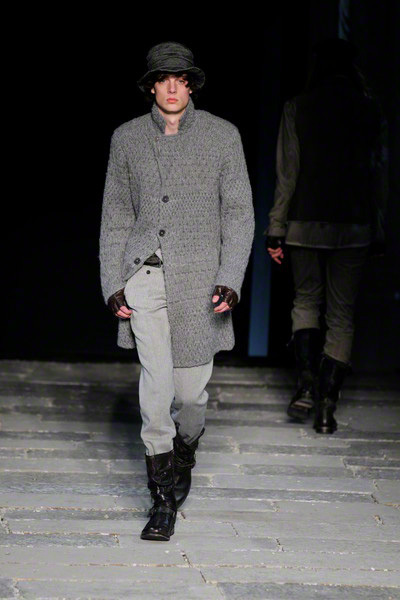 Washed of tones in leather were followed by woolen grey and black and scruffy streetstyles changed into a few slick evening looks. 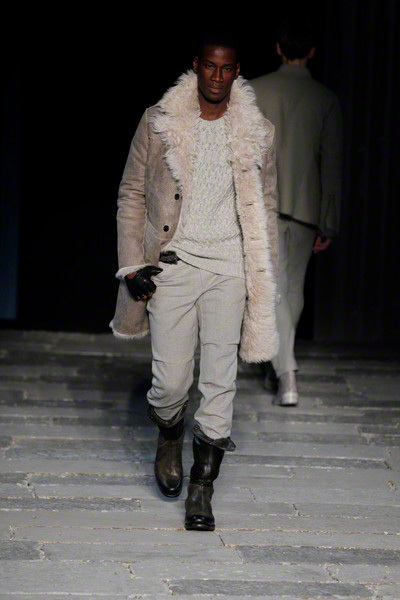 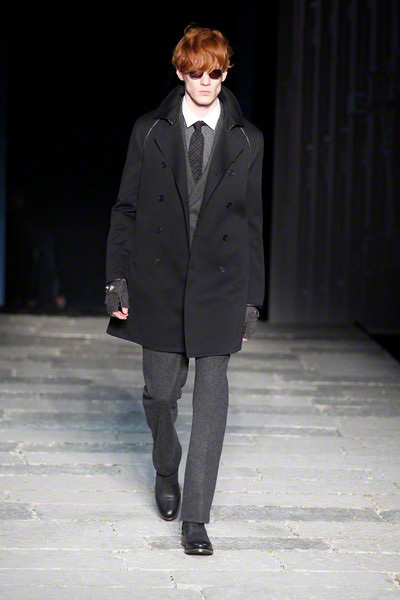 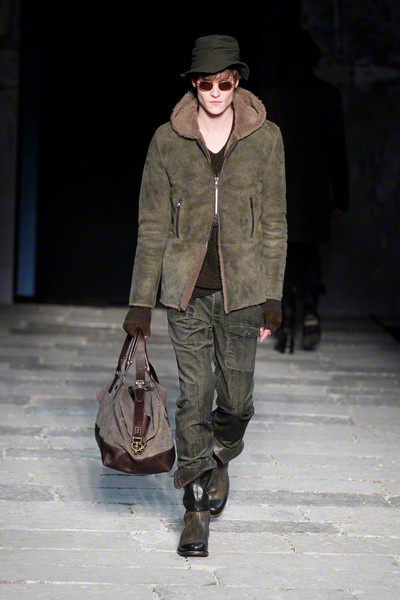 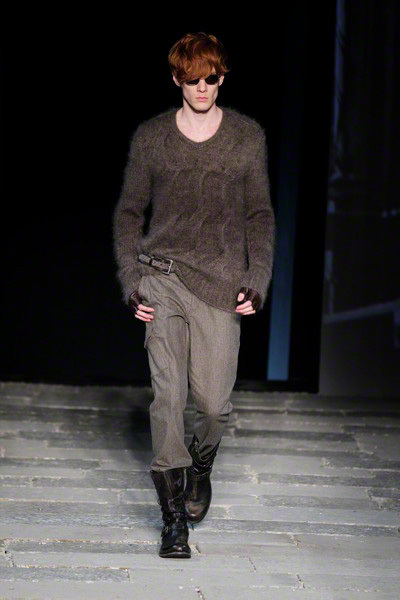 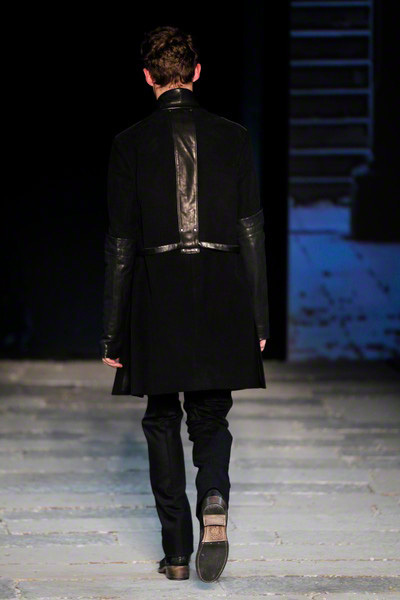 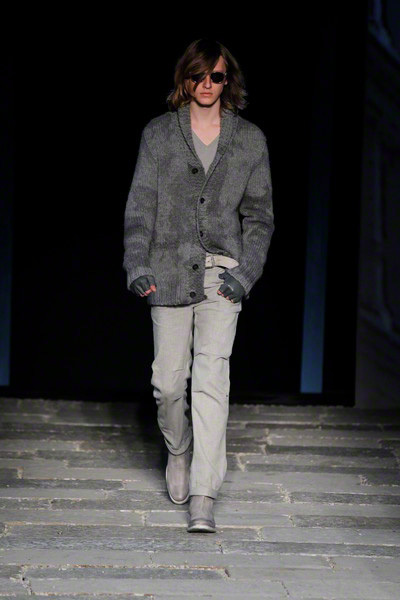 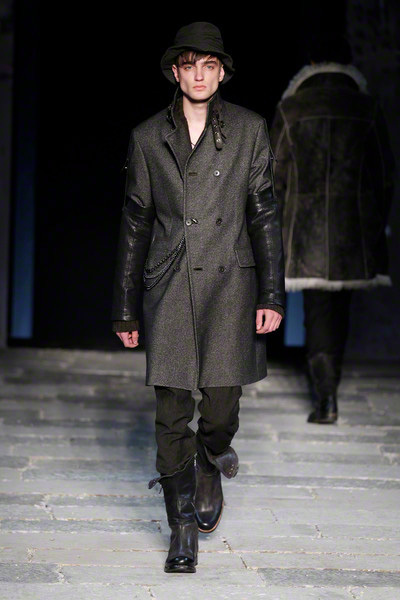 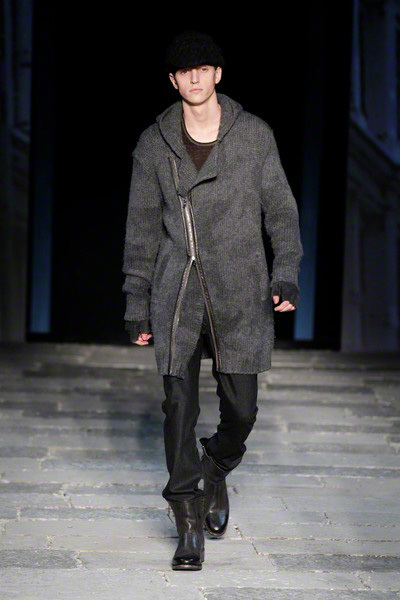 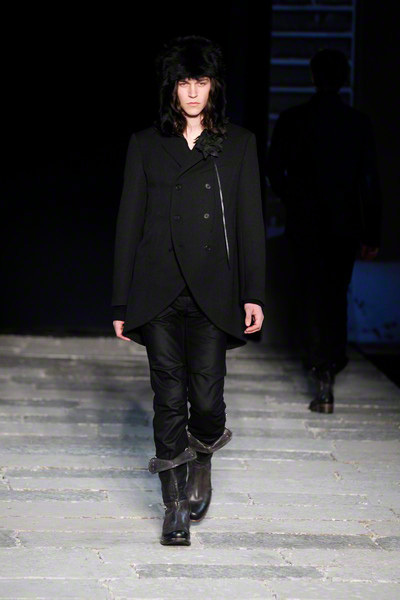 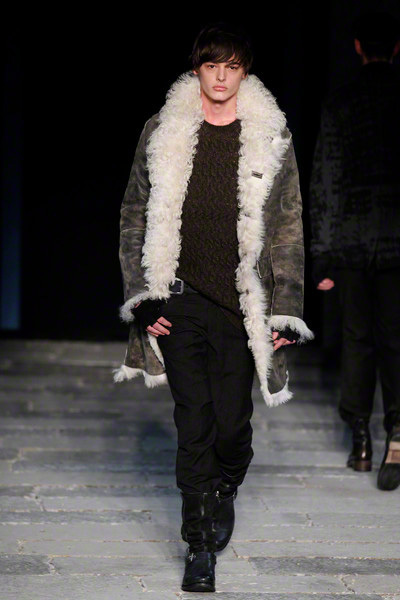 We’re not sure yet about the enormous shearling collars, but those leather sleeves will be a definite hit.